Today we’re taking a look at the UFC 215 Best Bets. UFC 215 goes down on Saturday night in Edmonton, Canada, with Demetrious “Mighty Mouse” Johnson looking to defend his UFC flyweight title for a record eleventh time, which would break the record for title defenses set by the legendary Anderson “Spider” Silva. Plus, the much-hyped rematch between Amanda Nunes and Valentina Shevchenko goes down, but this time it’s a five-round fight and for Nunes’ bantamweight title. Let’s check out some of the best bets for UFC 215. Mighty Mouse will break Anderson Silva’s title defense record with a win over Borg in Canada on Saturday night. Borg is the latest “best challenge ever” for Johnson, but UFC 215 odds reflect how the betting public really feels about Borg’s chances. Borg relies mostly on his ground game and that part of his game is sure to be stifled by Johnson. Borg is also an incredibly low volume striker, averaging just about 25 significant strikes over his last four UFC fights. You can bet on this fight at BET365, but with Johnson such a heavy favorite, you might want to keep that wager and add it to the Nunes vs. Shevchenko title fight. 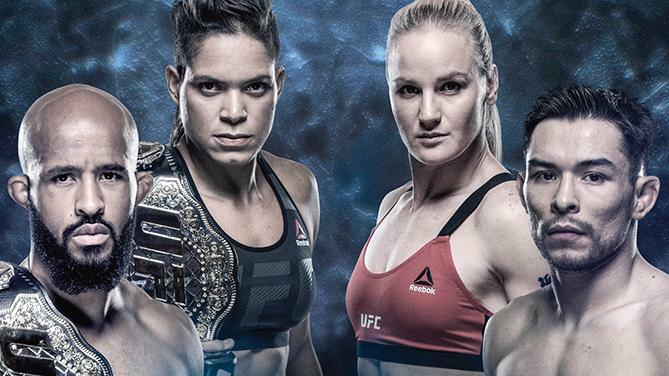 Nunes vs. Shevchenko will run back their UFC 196 fight, which was a three-round fight without a title on the line. This fight is for Nunes’ UFC bantamweight title and is scheduled for five rounds. Shevchenko already proved she could hang with Nunes, and she won’t crack early in the fight under the enormous pressure Nunes likes to use. Nunes has been said to have conditioning issues on occasion, and the conventional wisdom here is that this one will go to a decision. If that’s the case Shevchenko deserves your wager, but she also has to do a much better job of defending the ground game. Nunes made easy work of both Miesha Tate and Ronda Rousey, but both those fighters had their titles and both are now retired. Shevchenko is hungry, wants to avenge the 2016 loss and has cardio for days. I think the UFC women’s bantamweight title changes hands on Saturday night, but unfortunately, the challenger is actually the favorite. Neil Magny (+165) faces former UFC lightweight champion Rafael dos Anjos (-165) in a welterweight bout between two top-ten fighters. Magny’s last three wins have come against some big names: Johny Hendricks, Hector Lombard, and Kelvin Gastelum. Magny pushes the pace and almost always lands more significant strikes than his opponents. He’ll have big advantages in both height and reach, and he will have a better gas tank than dos Anjos. He needs to stay away from the former champ’s power, but if he can do that I see Magny scoring the upset win via decision. Not a big upset here, but I like Tyson Pedro (+105) to unravel Ilir Latifi (-125) in their light heavyweight bout. Pedro is 2-0 in UFC action with both wins coming in the first round. The 25-year-old is younger and faster than Latifi, and I think he finishes him in either the first or second round.